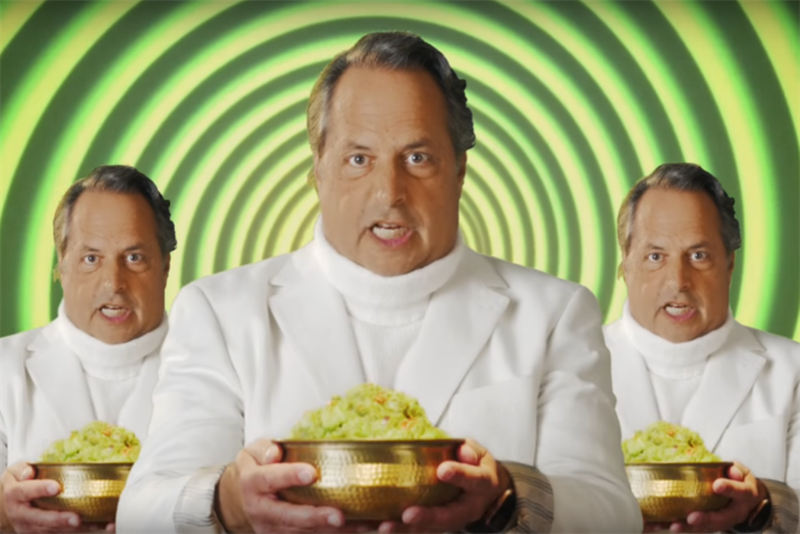 In anticipation of its third consecutive Super Bowl ad, Avocados from Mexico has released a hypnotic teaser spot featuring Jon Lovitz. The actor’s turtlenecked head spins in front of a mesmerizing swirl, whispering phrases like "guacamole" and "come and get it, hipsters." Lovitz signs off by saying, "See you in the 1st quarter." The brand’s actual Super Bowl ad will run during the first commercial break of the game. This "teaser" may not actually indicate anything about the ad that will run during the Big Game. The 30-second spot by GSD&M will focus on nutrition and the "healthy" fats found in avocados, an angle prompted by the U.S. Food & Drug Administration’s expected reassessment of the term. Previously, FDA regulations didn’t distinguish between different types of fats, so foods high in fat, like avocados, couldn’t be described as "healthy," while some fat-free foods of dubious nutritional value could be. The campaign also has an interactive social component. Fans that share videos and images from a "digital smartphone" or the brand’s app can win prizes like travel accommodations. In 2015, the then-relatively unknown brand was Super Bowl XLIX’s surprise hit. The GSD&M spot featured a "prehistoric draft," complete with commentary from former NFL stars Jerry Rice and Doug Flutie. It followed up with an even more ambitious spot the following year, increasing the budget for its Super Bowl 50 spot, which featured high-end digital effects and Scott Baio in a museum. Avocados from Mexico account for nearly 80 percent of U.S. avocado sales. The brand is avoiding political themes, despite the obvious opportunity presented by the new Trump administration’s rhetoric, though at least one Super Bowl advertiser plans to air an ad addressing the topic.